Begin with the vehicle on level ground, engine cold (off) in park with the emergency brake set, lift and support vehicle safely while using jack stands. 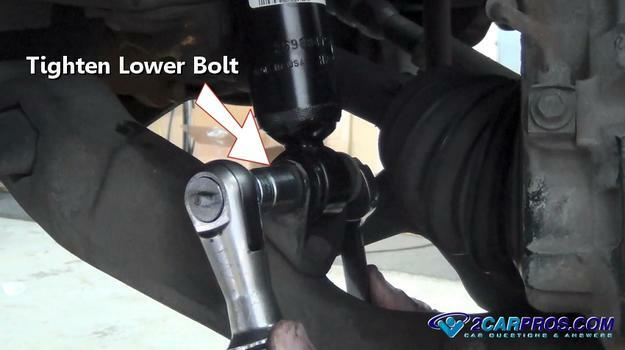 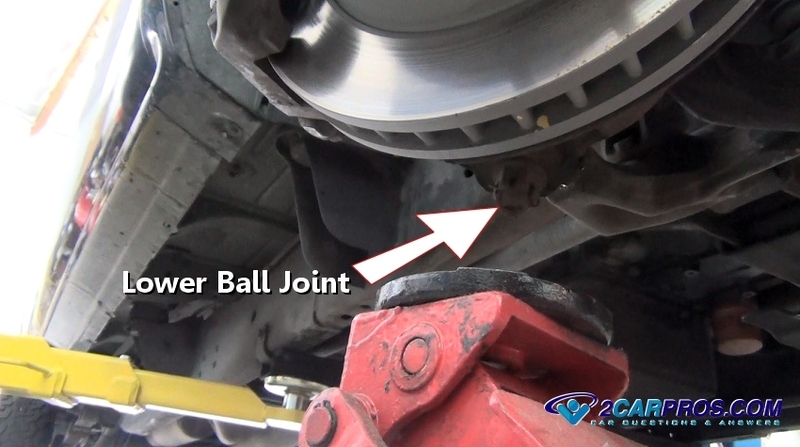 Step 2 - Once the suspension tension has been relieved, remove the lower shock mounting bolt. 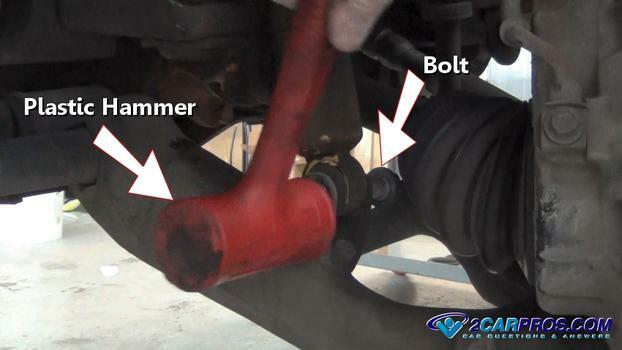 Step 3 - A plastic hammer or block of wood and a regular hammer can help push the bolt through if it can't be removed by hand. Step 4 - Use WD40 or equivalent to lubricate the shock top mounting nut. 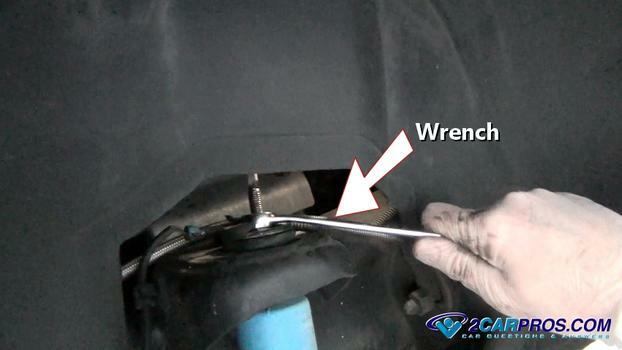 Step 5 - Slide a normal wrench over the top of the shock stud and place it securely onto the mounting nut. 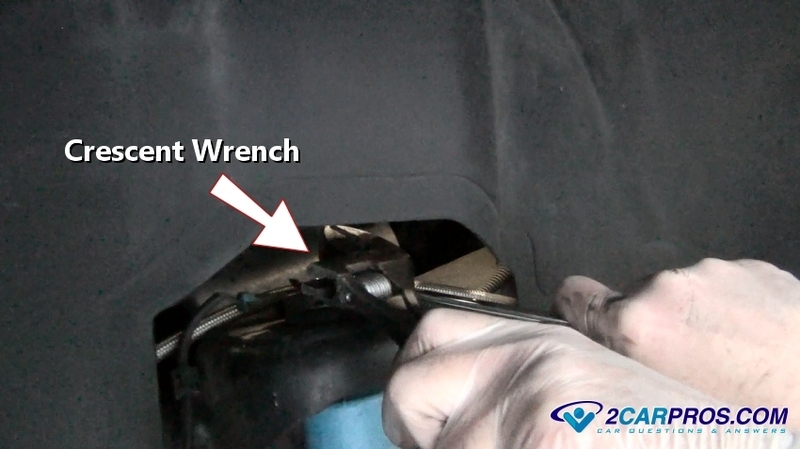 Step 6 - Adjust a crescent wrench to hold the top of the shock stud to prevent the shaft from turning while using the wrench. Step 7 - While holding the shock shaft with the crescent wrench, turn the nut counterclockwise to loosen. 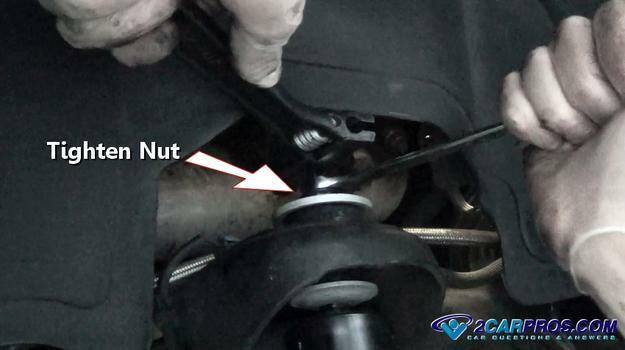 Step 8 - Once all mounting nuts and bolts have been removed grasp the shock and remove it from the suspension. Step 10 - After the new shock has been matched to the old unit, gently install the new shock into the upper mounting bracket while confirming the upper isolator position. 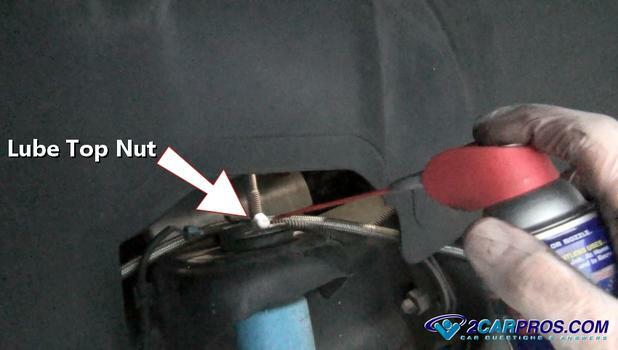 Step 11 - While holding the shock in place, install the lower mounting bolt into place. 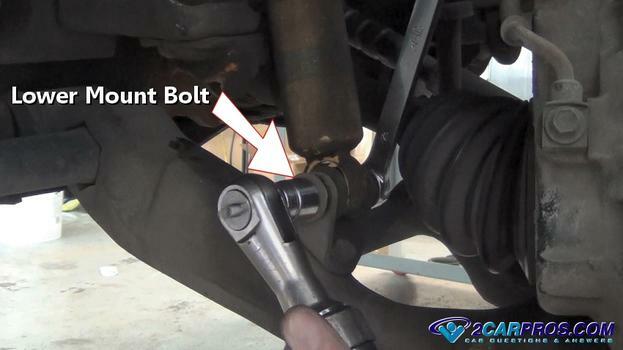 Step 12 - Once installed, use a wrench to hold the nut tight while turning the bolt clockwise until tight. 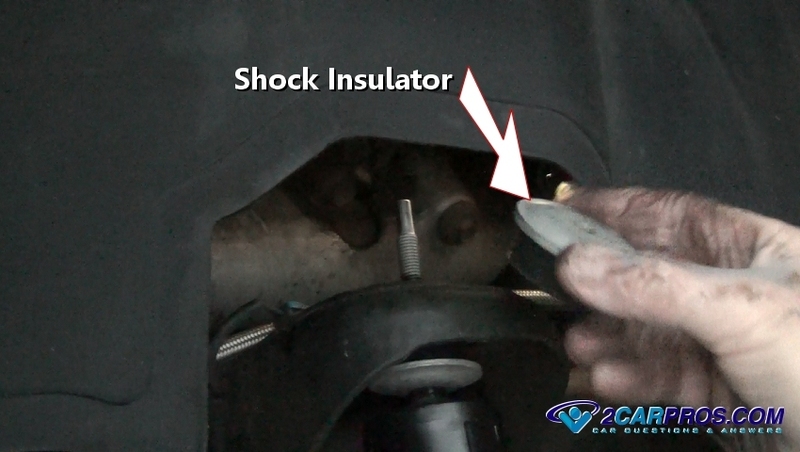 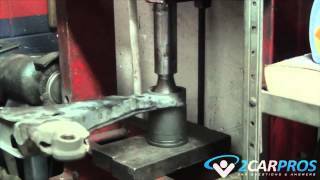 Step 13 - After the shock is positioned, install the upper part of the shock insulator set. This step is important for the shock to operate without abnormal noises, ie. popping, rattling and banging. 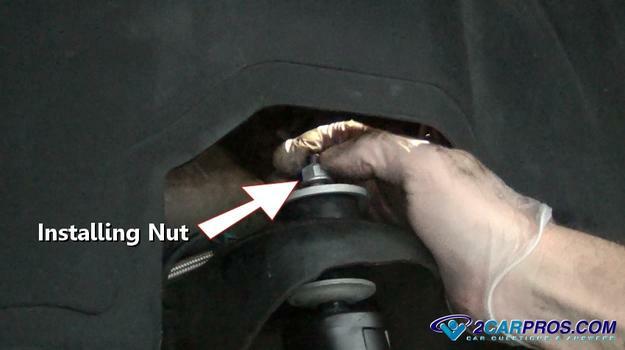 Step 14 - When installing the upper nut avoid cross threading by winding the nut on by hand. 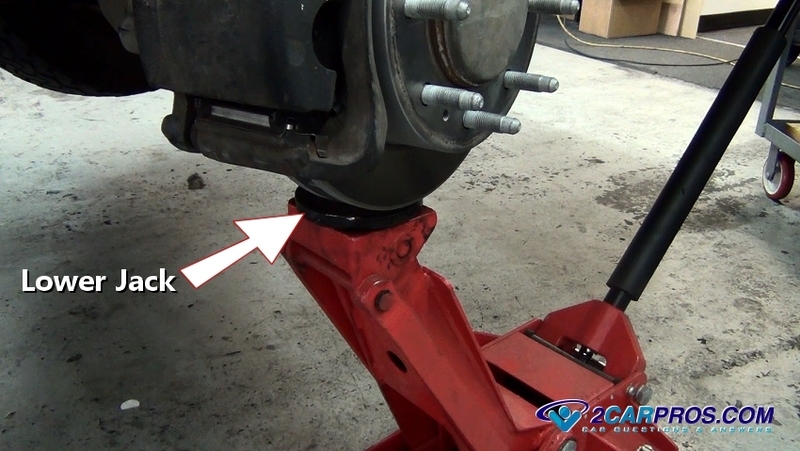 Step 16 - After all mounting bolts and nuts are tight, lower the hydraulic jack. 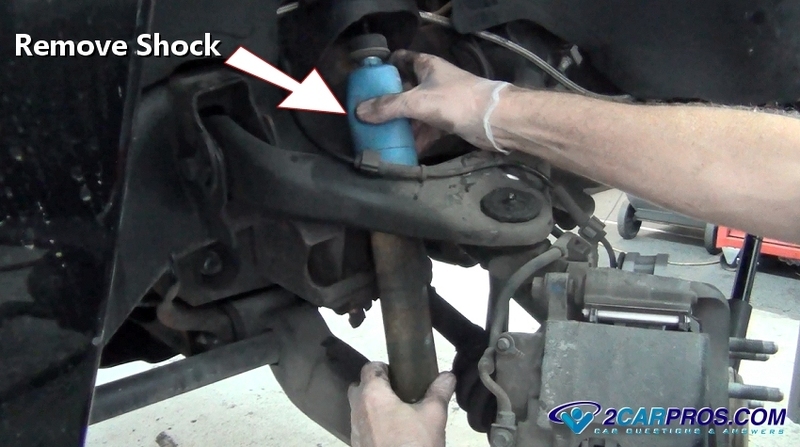 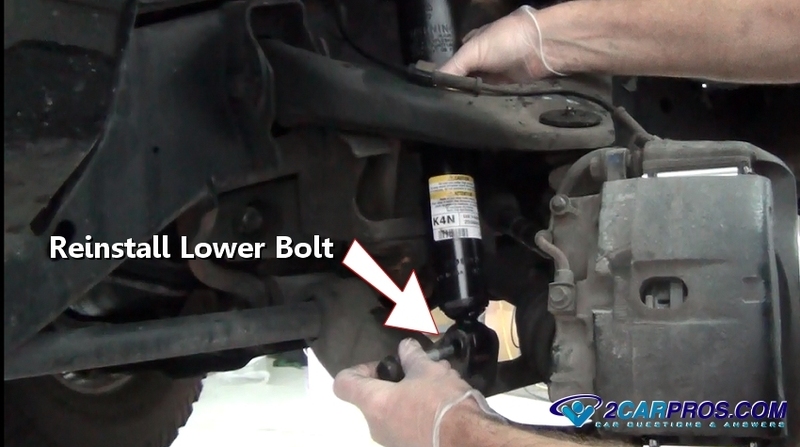 Step 17 - Anytime oil is leaking from a shock or strut it has failed and replacement is required. 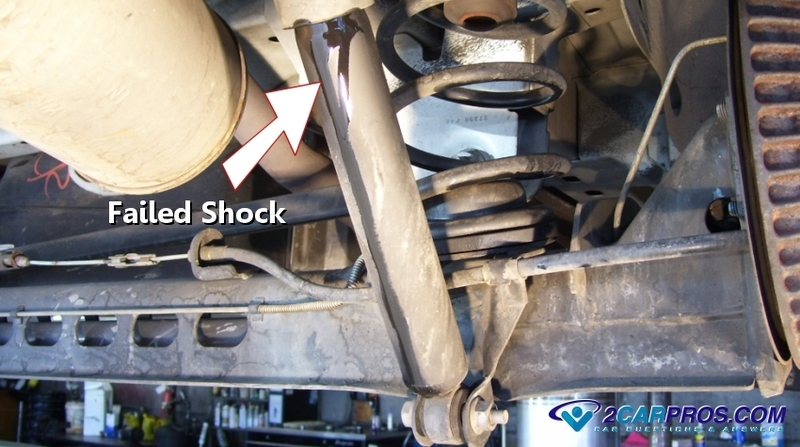 A shock is a normal maintenance item which requires replacement at regular intervals and can wear due to road conditions. 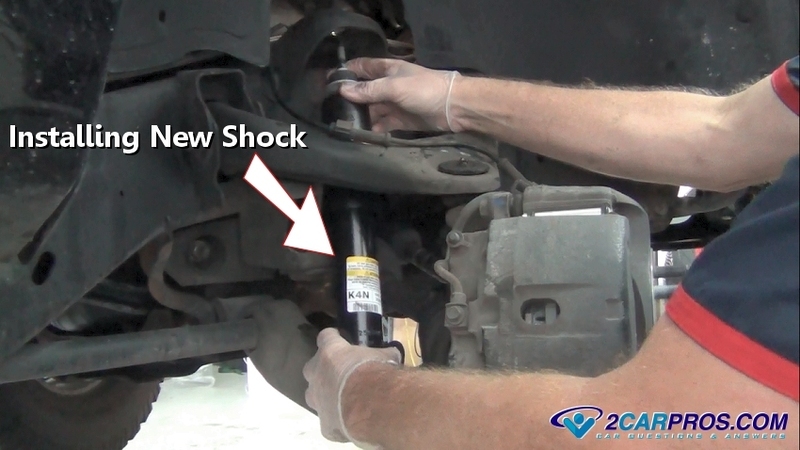 There are many options when choosing a replacement shock or strut, its recommended to use mid to upper end replacement items to avoid premature failure. 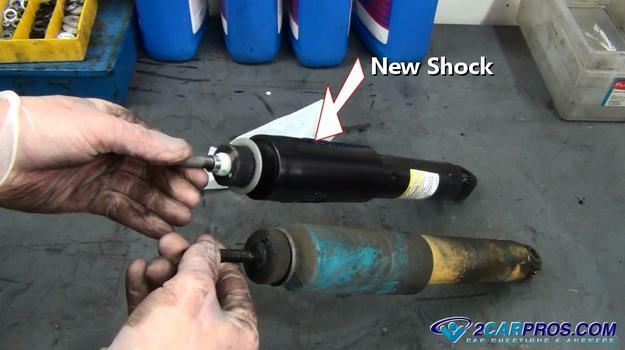 Most better grade shocks are gas filled to further improve the ride characteristics. When a shock absorber fails, a vehicle will continue to oscillate after hitting a bump and will cause handling inconsistencies.